The battle of the silent slaughterers, this is about as tough to call as it gets. Let’s all be real with ourselves: these monsters are immortal. If you impale Jason Voorhees, he slides the blade out, a warm knife to cold butter. If you cut Michael Myers’ head off, he picks it back up and coolly repositions it atop his neck. So how in the world do you determine a victor in a battle of beasts capable of battling until the earth has been overrun by zombies? 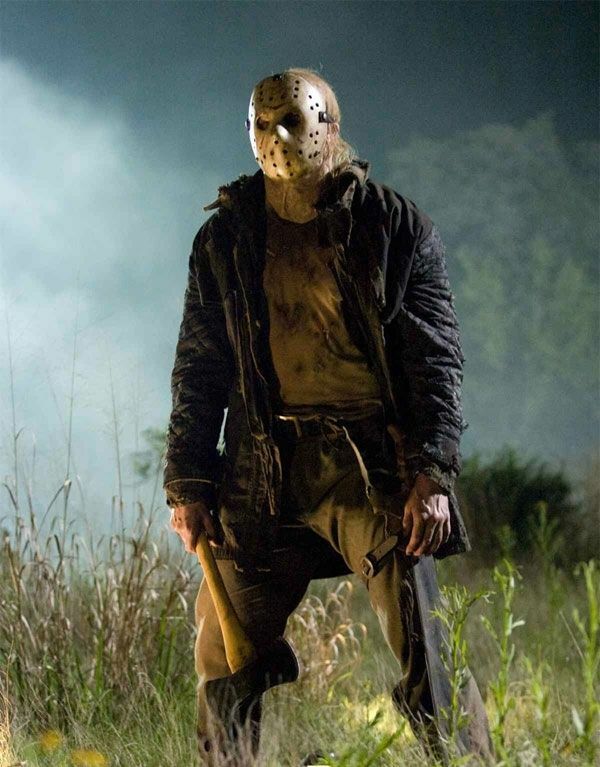 Neither “man” is agile, and neither is generally fast (Derek Mears is gonna be forced to sit this one out), but Jason has shown a more versatile assault over the years. He might take your head clean off your shoulders, he might bash your sleeping bag against a giant oak, you still in it. He’s also the owner of a weapon that covers much more distance than a steak knife. How we turn this one into a solid story is a mystery to me, but if Freddy and Jason can find a way to tangle, Myers should certainly be able to formulate a plan to inject himself into the arena. The battle stretches on and on, but I’m predicting a complete head-to-toe dismemberment for Voorhees. How long it takes Michael to put himself back together dictates the length of time we’re forced to await Michael Myers vs. Jason Voorhees 2.